There’s a vulnerability that affects WebView control in Android applications installed on Android devices running versions older than 4.2. This vulnerability makes a large number of Android applications act as a hacker pipeline into user’s devices and provides a way to install malicious software, send SMSs and more. WebView allows the user to view a web application (or just a web page) as a part of an ordinary Android application. The WebView class is an extension of Android’s View class that allows you to display web pages as a part of the appication’s screen layout. If you do not provide the annotation, the method is not accessible by your web page when running on Android 4.2 or higher. Users can be infected when they click on a URL link using a vulnerable application that allows opening a Java enabled browser or web page. 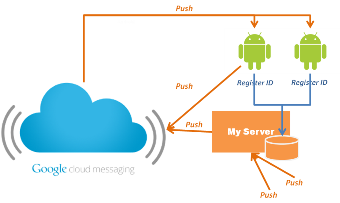 Researchers have discovered a number of malicious Android apps are using Google’s Cloud Messaging (GCM) service and leveraging it as a command and control server to carry out attacks. A post on Securelist today by Kaspersky Lab’s Roman Unuchek, breaks down five Trojans that have been spotted checking in with GCM after launching. Kaspersky Lab detected millions of installers in over 130 countries and Kaspersky Mobile Security (KMS) blocked attempted installations for these Trojans. No doubt, GCM is a useful service for legitimate software developers. 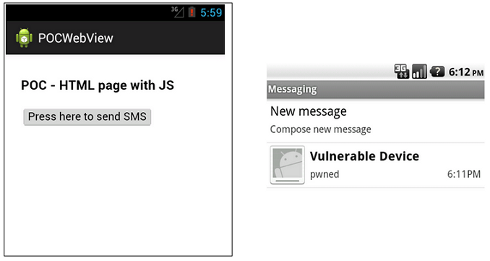 But virus writers are using Google Cloud Messaging as an additional C&C for their Trojans. Furthermore, the execution of commands received from GCM is performed by the GCM system and it is impossible to block them directly on an infected device. The only way to cut this channel off from virus writers is to block developer accounts with IDs linked to the registration of malicious programs. A team of security researchers have demonstrated how a security flaw in Android 4.0.4 can be exploited by a clickjacking rootkit. The research team is lead by North Carolina State University professor Xuxian Jiang, who succeeded in developing a proof-of-concept rootkit that attacks the Android framework as opposed to the underlying operating system kernel. The researchers contend that such a rootkit could potentially be downloaded with an infected app and be used to manipulate the smartphone. Detects and protects from all kinds of ARP (Address Resolution Protocol) related attacks in Wi-Fi networks, like DOS (Denial Of Service) or MITM (Man In The Middle) Attack. Protects your phone from tools like FaceNiff, Cain & Abel, ANTI, ettercap, DroidSheep, NetCut, and all others that try to hijack your session via MITM through ARP spoofing / ARP poisoning.